The Green, House & Cottages, Cornwall. Photo by Elaine Swift www.elaineswift.co.uk. 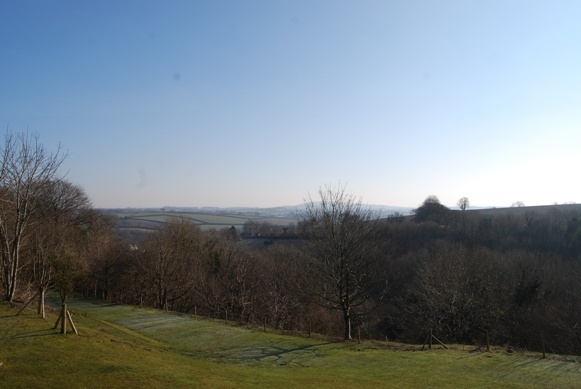 The Green is a former cheese farm standing in 14-acres of beautiful grounds on the edge of Bodmin Moor. It’s been stylishly converted into six cottages and there’s also a lovely house that sleeps 12 which stands in its own small garden. Everything about The Green has been well thought through, from the car park that stands away from the properties, to the cottages themselves. We loved the modern, stylish interior with its attention to detail and good quality furnishings. The high, vaulted ceiling in the main living room creates a lovely spacious feeling. There are wooden floorboards throughout which not only look good, they’re easy to keep clean, so you don’t have too worry too much about your muddy wellies. Our cottage had a kitchenette in the main living space equipped with good quality, matching appliances – a nice change from the mishmash of oddments you find in many self-catering cottages! We had two bedrooms – a double and a twin – both tastefully and minimally decorated. And I have to mention the mattress and duvet which were quite possibly the most comfortable I’ve ever experienced! The underfloor heating was lovely and warm all the time, especially considering the height of the ceiling in the living room and the temperature outside. There are some nice teccie features too: the wi-fi couldn’t be easier to access, and you can connect your iPod to the audio system – there are even speakers in the bathroom with a control switch outside. I can well imagine it would be a great place to stay as a family or with a group of friends. Exploring the extensive grounds is a must – there’s even a small lake in the woods. There’s a children’s playground away from the cottages and house next to an orchard, and a large area of green in front of the properties where you can relax. The Green, Cornwall, View from the Balcony. Photo by Elaine Swift www.elaineswift.co.uk. It’s the ideal venue for a wedding too and the owners have built a fabulous glass fronted space, which is flooded with natural light, in which ceremonies can take place. There’s also a romantic wooden arbour overlooking the valley for couples who want to tie the knot outside. It’s so secluded and peaceful that I can also imagine it being perfect for a retreat or for corporate events such as off-site meetings when a bit concentrated thinking time is needed. There’s lots to do in the area. Minnions, from where you can walk to the mysterious Cheesewring rock formation on Bodmin Moor, is about 10 minutes by car. It’s walkable from The Green if you’re feeling energetic. The coast is within easy reach too with Looe only 11 miles away. Nearest town is Liskeard which is OK and Lostwithiel is worth a visit for its antique shops. The tiny village of Upton Cross is just a stroll away. There is a pub in the village but I can’t recommend the food as we didn’t eat there. We were pleased to discover that The Green isn’t just green by name. It has its own water sources and the cottages use renewable, ground source heat. All accommodation is fitted with efficient, low-consumption appliances, and the owners use eco cleaning products and encourage as much recycling as possible. Outside, the well-managed grounds encourage biodiversity. The Green is so secluded you really do feel you’re in the middle of nowhere – a very beautiful, tranquil nowhere where you can relax and forget about the world outside for a few days. 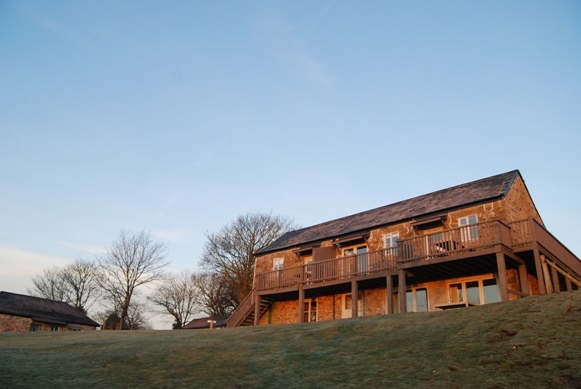 Thank you to copywriter and Your Holiday Planner contributor, Elaine Swift for providing this detailed review of The Green (www.thegreencornwall.co.uk) in Cornwall. This entry was posted in Family Friendly, Reviewed by YHP contributor, Thoughtful travel and tagged family friendly travel, holiday cottages in cornwall, luxury cottage. Bookmark the permalink.